The Rebel Sweetheart. : Foodie Goodie | Rosing's Champoy. 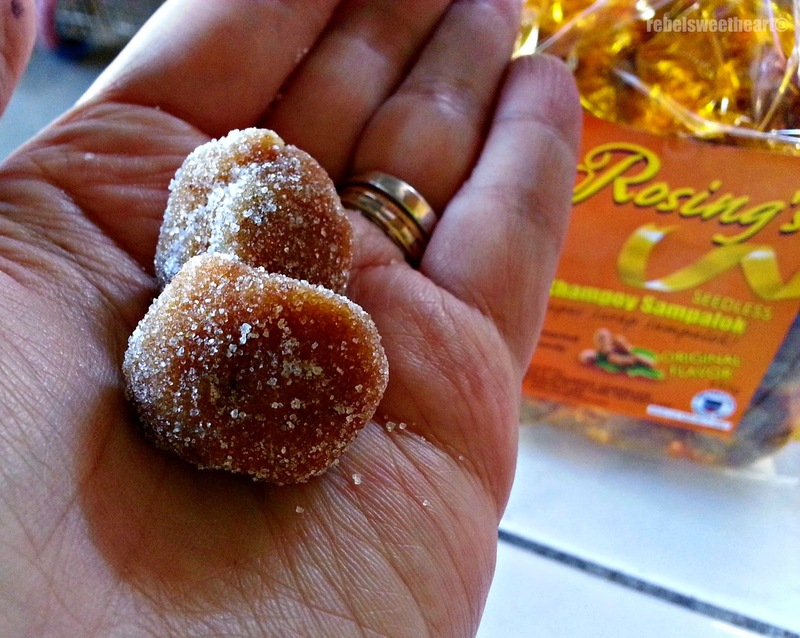 Foodie Goodie | Rosing's Champoy. My husband loves tamarind as much as I do. And so whenever I have the chance, I send some of his favorite tamarind candy to Korea. Like today, for instance. His cousin flew back to Seoul this afternoon (he came home with his Korean wife for a few days and celebrated the Lunar New Year here in the Philippines), and he brought with him a few bags of my husband's favorite Rosing's Champoy. Rosing's Champoy - Spicy and Original flavor. Php 150 per 450g pouch. 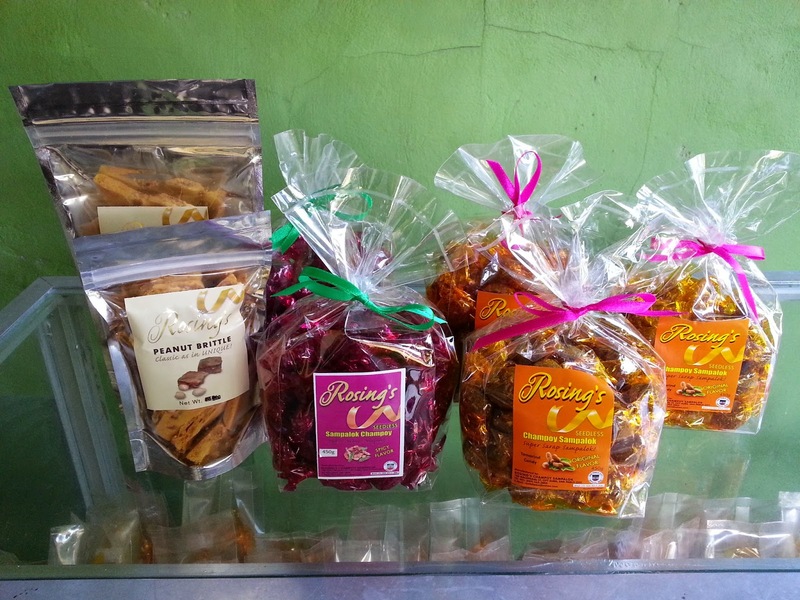 Named after its proprietor, Rosita Lasco, Rosing's Champoy was launched as a marginal livelihood project in 2002. Eight years later, they added the Peanut Brittle to their product line. Php 120 per 160g pouch. And boy, oh boy, Rosing's Peanut Brittle is not like any other peanut brittle that I've tried before. The texture is quite similar to Violet Crumble - crumbly, honeycomb toffee center sans the chocolate coating. 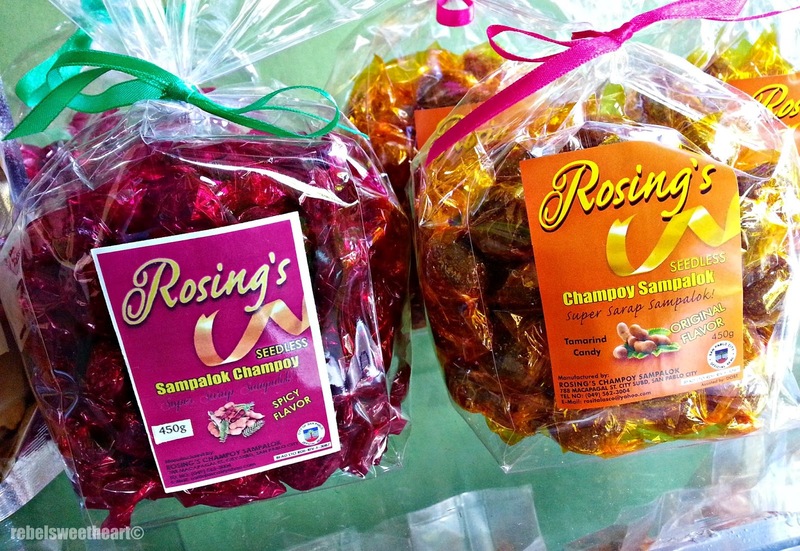 As of 2011, Rosing's Champoy has been operating under license by the Bureau of Food and Drugs (BFAD). Their products have also been tested by the Department of Science and Technology (DOST) and have undergone quality control for shelf life and nutrition facts. I really like peanut brittle! The other sweets also look very tasty. I have such a weakness for anything sweet. Those all look so yummy. I just promised my son that I was going to take him to a candy store so we can do a review of it. I've never tried those. Looks very yummy though! 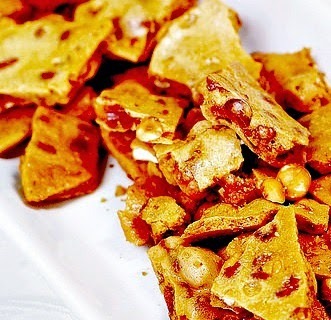 My hubby would love that peanut brittle. Yummy treats. I hope your husband enjoys his goodies. Fantastic treats, I am glad you can get them online. Oh where have you been all my life tamarind candy?! 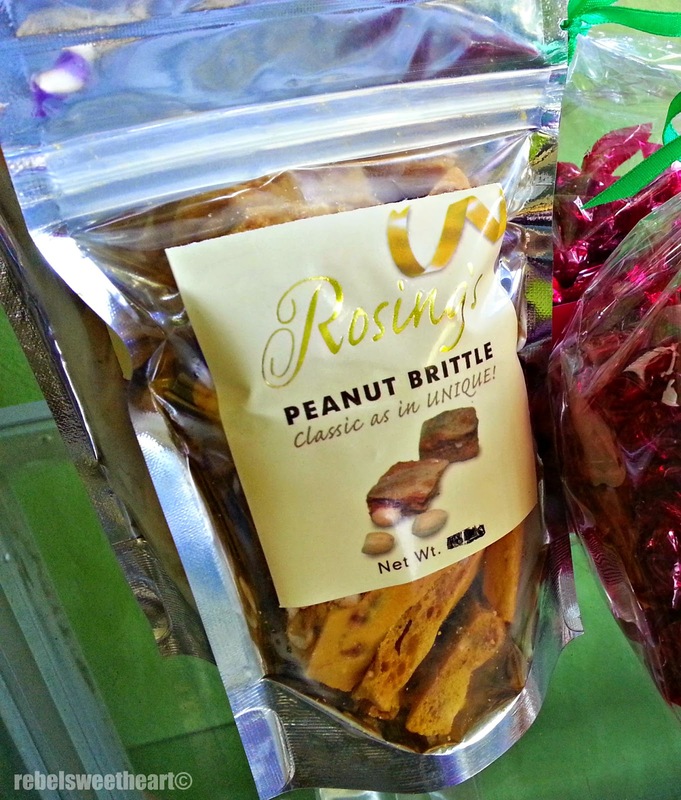 I have never been a fan of brittle but wow those Rosing's Champoy in the first picture look and sound so delicious! I have to try them!! Nung una mo pa lang pinost yan, takam na takam na ako sis. Bakit pala yung isa Champoy Sampalok tapos yung isa Sampalok Champoy? the peanut brittle looks good! Yum! Foodie Goodie | Brownie Brittle. 5 Important Baby Safety Equipment To Go For. Wordless Wednesday #123 | Bruce vs. Brandon. Spotlight | Kabaya Collagen Gummy. Spotlight | Ever Bilena Cheek Blush. Wordless Wednesday #122 | Happy Birthday, Mum! Planning To Get A Baby Swing For Your Little One? Pucker Up! | SkinFood Vita Tok Lipstick. Foodie Goodie | Nutella Chocolate Chip Cookies. Wordless Wednesday #120 | Happy Birthday Elmo! One FC Returns to Manila! Spotlight | Shiseido Eyebrow Pencil in Brown.